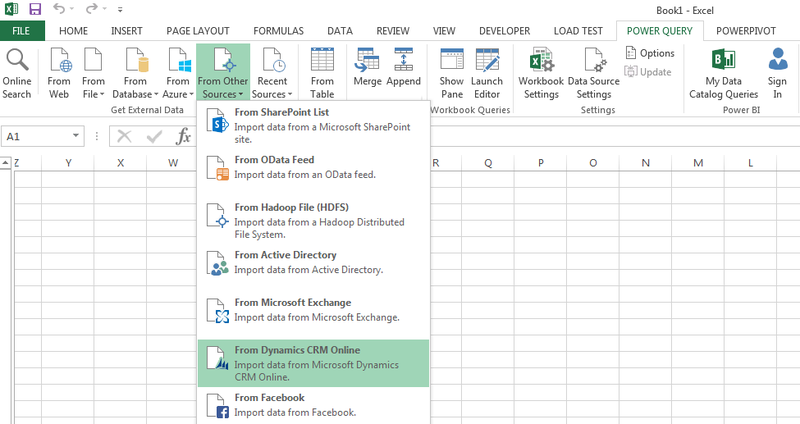 A new feature in Excel Power Query March Update is the Microsoft Dynamics CRM Data Provider. In previous versions, OData provider was used to extract data from Microsoft Dynamics CRM as described in this post. 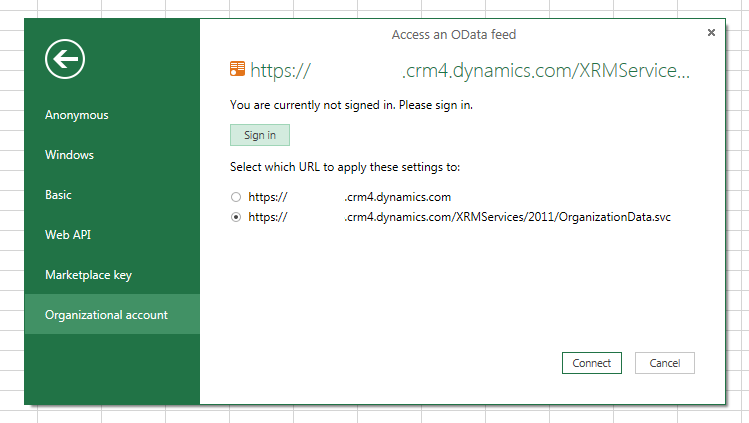 In this version, OData provider is still used behind the scenes when selecting the Dynamics CRM Online provider, which means data can still be filtered by adding OData filters to the URL as described in this post. 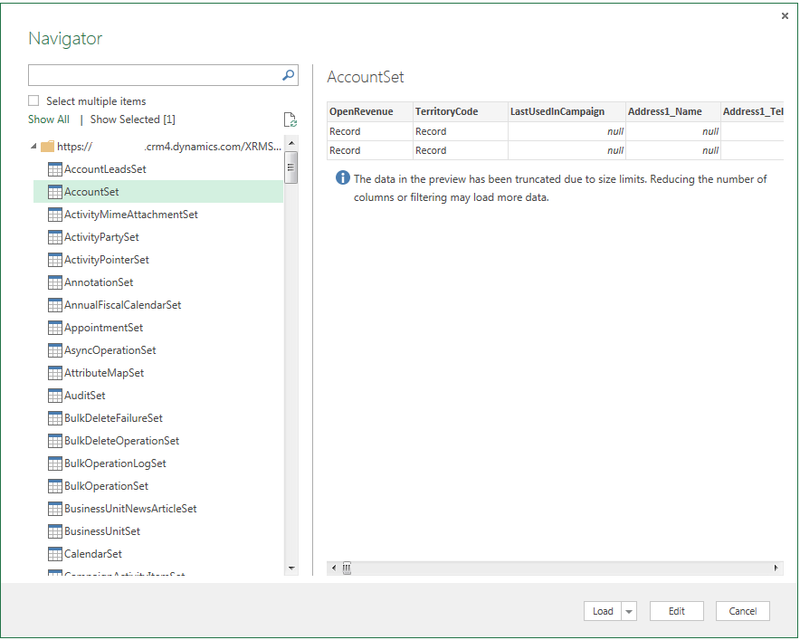 This is important since without any filters, Power Query maybe importing huge amount of redundant data which is not required for your report, while wasting precious resources. So what is the big difference from previous versions? As far as I can tell, a slightly more friendly UI which indicates the expected URL format and warn the user if the target URL is invalid before actually trying to retrieve data. The rest of the process hasn’t changed.